I am pleasantly surprised with the last month’s progress. God is indeed good to me. Here is a brief recap of things that have happened so far. Alien Encounters was a magnificent success. The attendance was great, the speakers were phenomenal, and the crowd actively engaged the panelists and speakers with intriguing questions and insight. Everyone in attendance had a productive and informative time that they took away from the experience. The publishing company has been established to publish works produced by Black Science Fiction Society called Graves Sheffield Publishing. It is staffed primarily by me and my lovely wife who has supported me throughout the process of making the project a success. This coupled with 2 years research and tutorage by industry veterans has made it possible to take dreams and turn them into realities. We are eager to continue turning dreams into to realities. We decided to add to our goals movie making. The idea is to partner with writers from the Anthology and start creating films in the upcoming year. Stay tuned, we will continue to plug away at this thing. 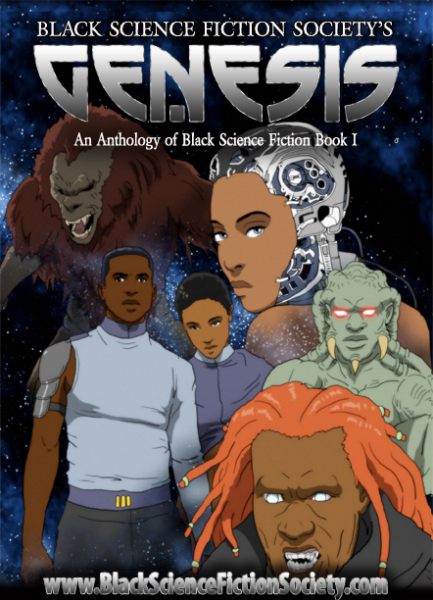 Join the site if you haven’t already and share in the community of like minded individuals of black science fiction.